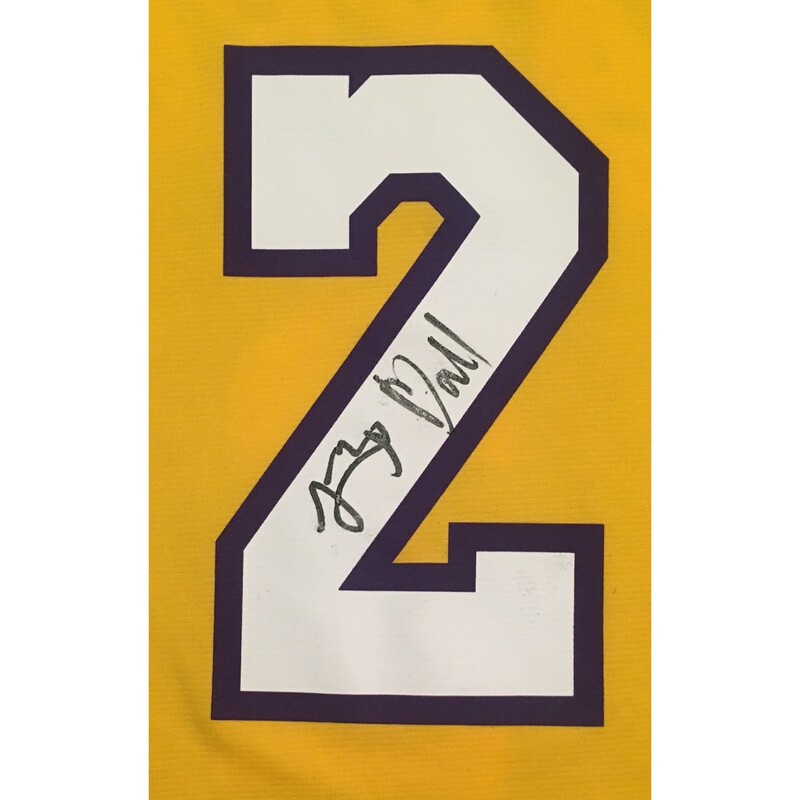 The future of the Los Angeles Lakers Lonzo Ball has autographed this officially licensed Lakers replica jersey. 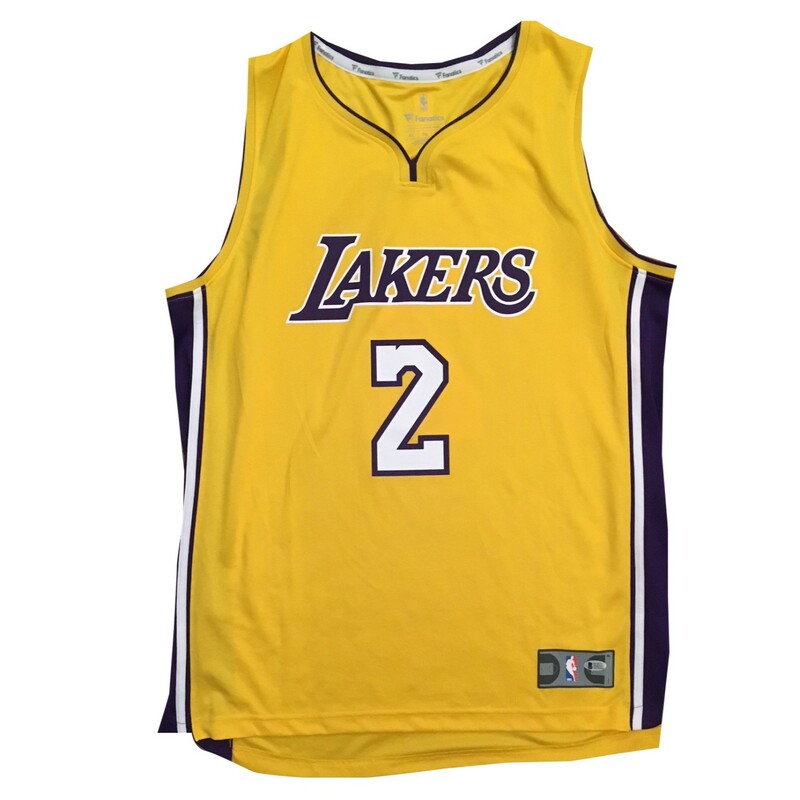 Jersey is a size XL and comes with original tags. 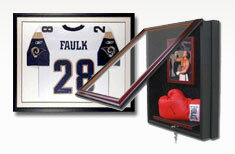 Autograph is authenticated by Beckett Authentication Services (BAS), the leader in 3rd party autograph authentication. 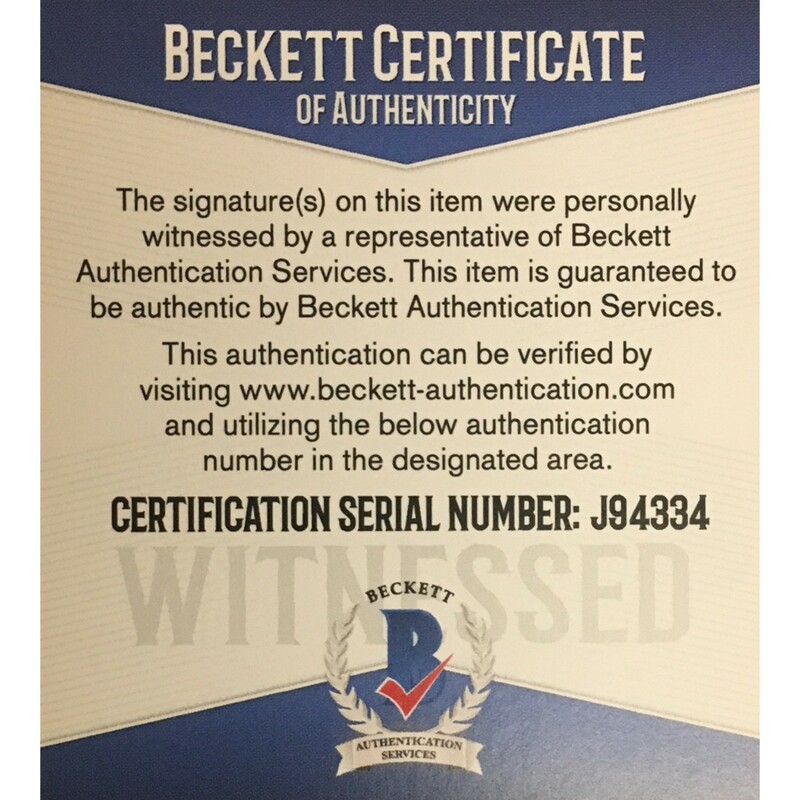 It is a "witness" authentication which means a representative from Beckett was present for the signing with Ball and witnessed him signing your item. 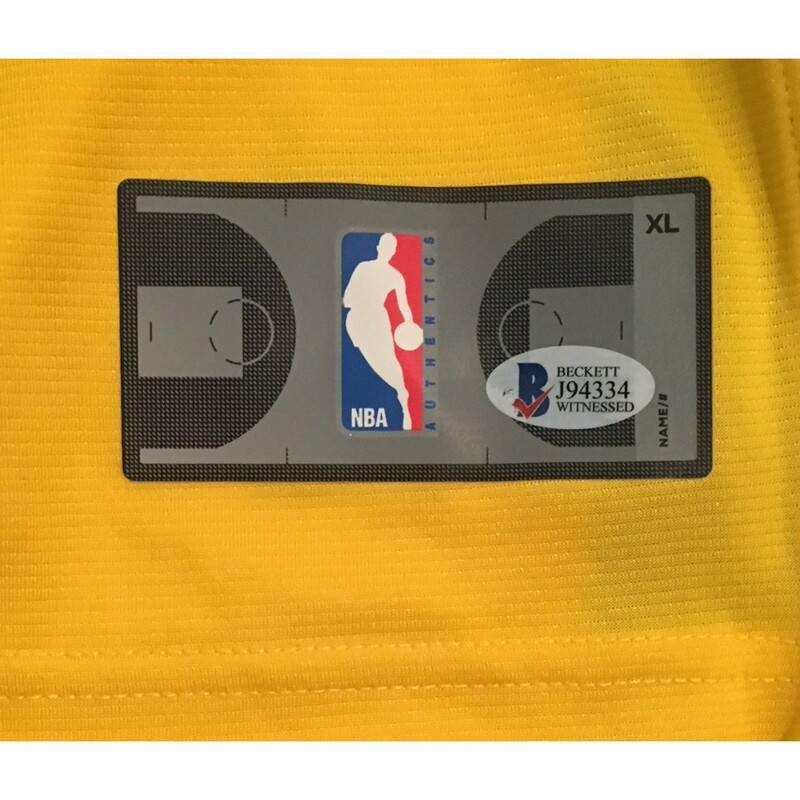 Comes with their unique sticker # on the front of the jersey tag which is verified on their website and their certificate of authenticity with same sticker #. 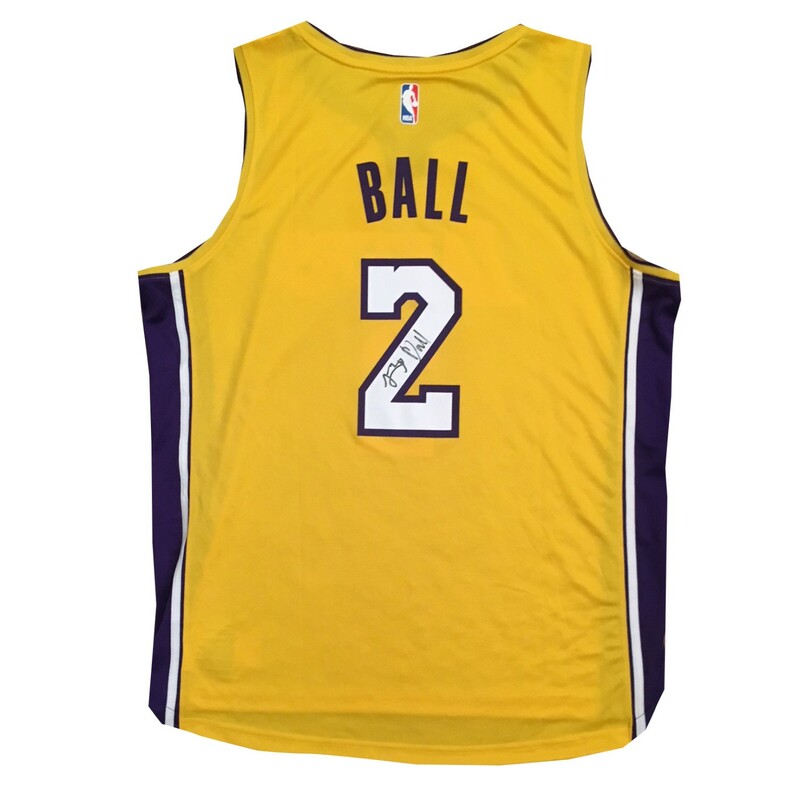 You will receive the EXACT item shown.